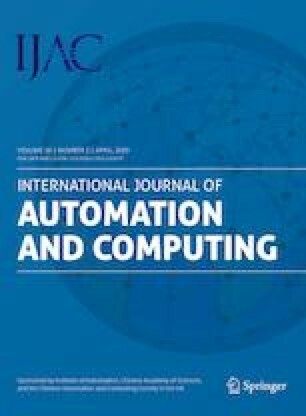 This paper presents a novel five degrees of freedom (DOF) two-wheeled robotic machine (TWRM) that delivers solutions for both industrial and service robotic applications by enlarging the vehicle’s workspace and increasing its flexibility. Designing a two-wheeled robot with five degrees of freedom creates a high challenge for the control, therefore the modelling and design of such robot should be precise with a uniform distribution of mass over the robot and the actuators. By employing the Lagrangian modelling approach, the TWRM’s mathematical model is derived and simulated in Matlab/Simulink®. For stabilizing the system’s highly nonlinear model, two control approaches were developed and implemented: proportional-integral-derivative (PID) and fuzzy logic control (FLC) strategies. Considering multiple scenarios with different initial conditions, the proposed control strategies’ performance has been assessed. Khaled M. Goher received the Ph. D. degree in control engineering at Department of Automatic Control and Systems Engineering, University of Sheffield, UK in 2010. He, Ph. D., PGCertHE (postgraduate certificate in higher education), MIET (member of the Institute of Engineering and Technology), is currently working as a senior lecturer in robotics & automation at University of Lincoln, UK. Before that date, he was a lecturer in biomedical engineering at Aston University, UK, a lecturer of robotics and autonomous systems at Lincoln University, New Zealand and an assistant professor at Sultan Qaboos University, Oman. He has an extensive publication record in peer-reviewed journals, international conferences and a recently published book on mobile wheeled machines. His research interests include kinematics, dynamics and control of mobile robotics, assistive technologies and rehabilitation engineering for elderly and disabled people and vibration suppression in high speed machines. He is particularly interested in design, building and investigating scientific and engineering reconfigurable mechanisms serving disabled people and elderly. Sulaiman O. Fadlallah received the B. Sc. degree in mechatronics engineering and the M. Sc. degree in mechanical engineering from Sultan Qaboos University, Oman in 2013 and 2015, respectively. During his Master’s thesis, he developed a novel portable leg rehabilitation system to assist patients with lower limb disabilities and elderly people with knee and ankle difficulties. He is currently a Ph. D. degree candidate in mechanical engineering at Auckland University of Technology (AUT), New Zealand. His research interests include bio-mechanics, rehabilitation engineering and design and control of robotic systems. The images or other third party material in this article are included in the article’ Creative Commons licence, unless indicated otherwise in a credit line to the material. If material is not included in the article’s Creative Commons licence and your intended use is not permitted by statutory regulation or exceeds the permitted use, you will need to obtain permission directly from the copyright holder.